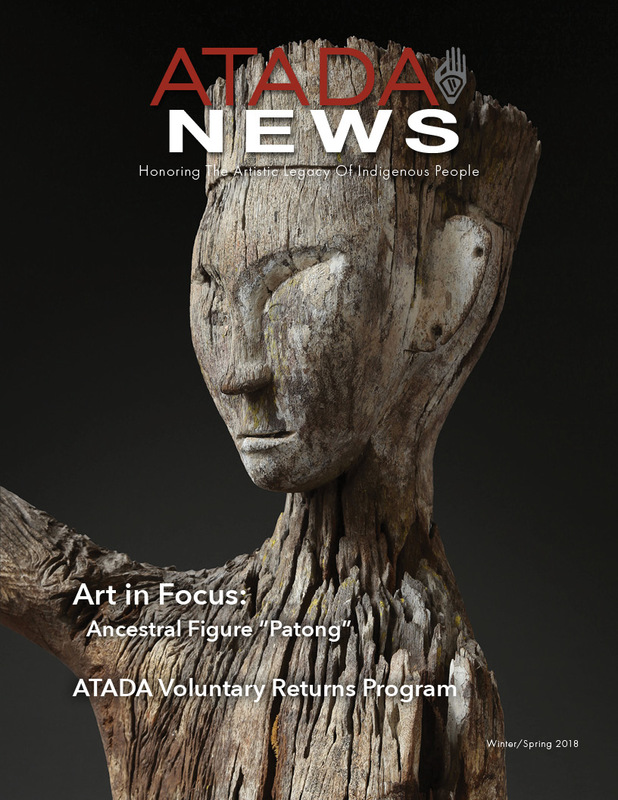 Winter/Spring 2018 Edition of the ATADA News - Available Now! Click the image to read the latest issue! Art in Focus: Ancestral Figure "Patong"
Mark Johnson takes a closer look at a rare and highly refined Ngaju Dayak sculpture representing an important ancestor. Mark Blackburn gives his take on the current state of the Tribal art market and recaps recent auctions. U.S.’s UNESCO Withdrawal and the Art World; NAGPRA Repatriation Updates from Ron McCoy. The ATADA Voluntary Returns program has successfully returned over 100 sacred and ceremonial items to Southwestern tribes. Take an in-depth look at how the program works. serious about understanding issues facing collectors today.